The philosopher who said that work well done never needs doing over never weeded a garden. Everybody loves the look of a beautiful Bonsai dish landscape, but most of us feel that this aspect of gardening is not something we can do successfully. Indeed, I hazard a guess that a few of us have tried buying a Bonsai once or twice, only to have a dead mini-tree on our hands within a short period of time. Growing Bonsai is probably not for the once a week houseplant waterer who skips a week every now and then, but for those willing to put a little effort into it, the Art of Bonsai can be an incredibly creative and rewarding leisure-time gardening activity, especially for those in the colder areas who are cooped up in the house through the long winter months. With the proper care and watering, most Bonsai specimens can live for years - in Asia they are even passed from generation to generation as family heirlooms. 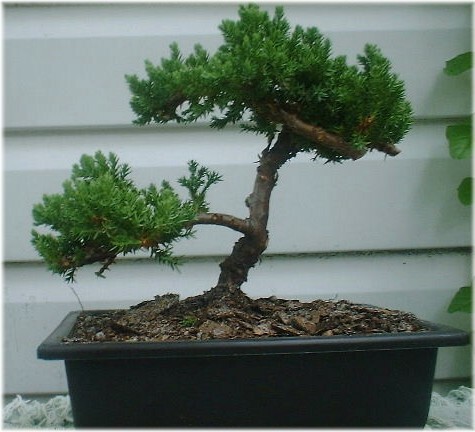 Accordingly, this page is devoted to Bonsai and all the issues related to successfully growing it, including plant choices, care, feeding, watering, and designing miniature landscapes. New pages will be added regularly, so do Bookmark and return often for upcoming step-by-step instructions for successful Bonsai gardening!